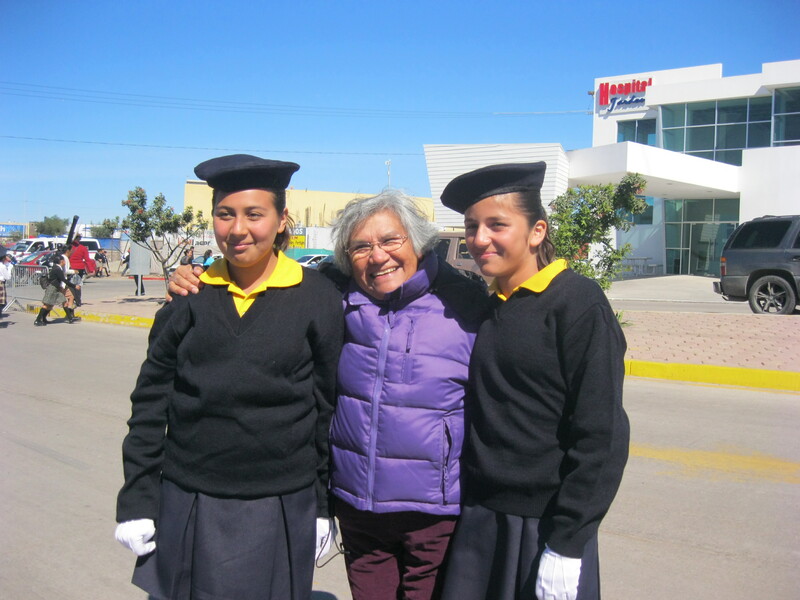 Two of our girls from Hacienda Victoria were selected to represent their school in the Dia de la Bandara (Flag Day) parade and ceremony in Rosarito! 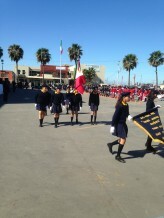 Every school in Rosarito sent a delegation to the parade. 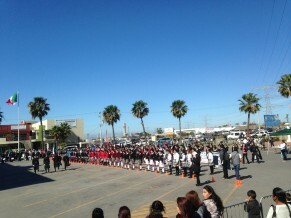 Then there was a ceremony which they all participated in as well. Both of these girls are doing so well in school that they are taking a city-wide exam. If they do well on that one, they can move up to the next level. We are proud of Fanny and Yadira!